What Apple hardware makes up your Mac setup? I’m using a 2010 iMac as a second screen. This was our internet and administration computer but lately we are only using iPhones & iPads for that. So I thought it would be a nice idea to use this as my second screen. I’m also using an iPad 2 for controls, and some audio equipment like a keyboard and controller. I’m a full time music producer / DJ. I also make small videos in Final Cut Pro X and make artwork in Adobe Photoshop. But most of the time I’m creating beats! Which apps do you use most often on Mac and iOS? On the iMac it’s Final Cut Pro X, Adobe Photoshop, and Cubase for music production. On iPad and iPhone, it’s most definitely Dropbox! And I love Instagram too! 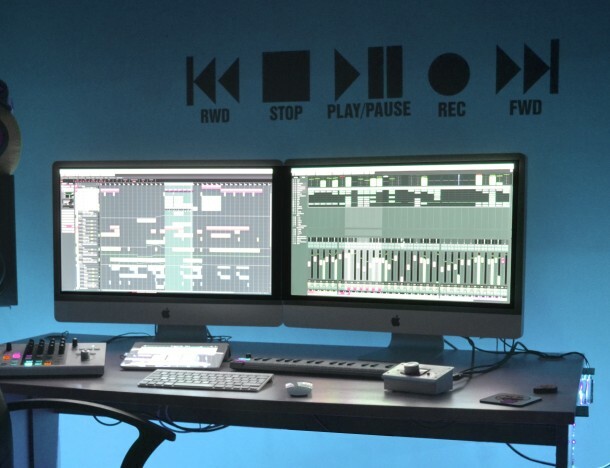 Do you have any general tips or advice for setting up a great workstation like this? Invest some time in making your workplace 100% to your liking. Get rid of nasty wires, create a nice lighting and organize your computer so it’s running maximum! I love sitting here in my studio! Want to share your Mac setup? Go here to get started, it’s a matter of answering some questions about your hardware and how you use it, and taking a few high quality pictures to send on in. 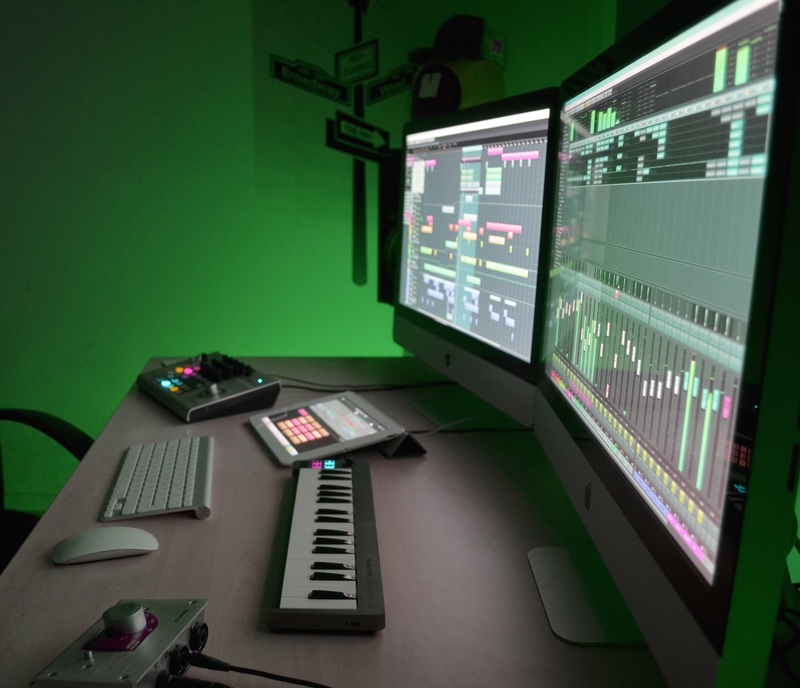 If you’re not ready to share your own Apple setup yet, you can always browse through previously featured Mac workstations here, there’s tons of them! This is a really nice setup, one of my favorites I’ve seen on here. Is the mood lighting by LED? What type of speaker monitors are those, and what stand are they on? 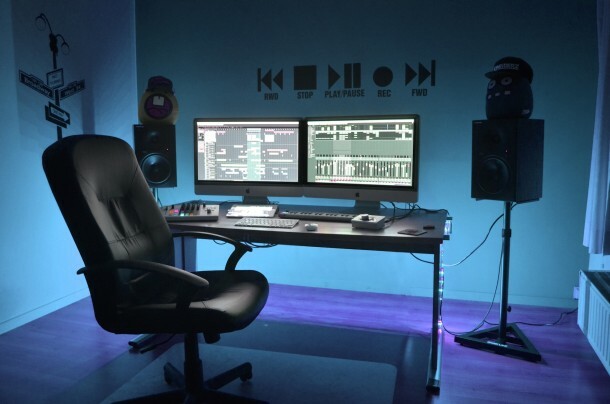 What are the knobs and dials on the desk? What do they do? Volume controls? Rad! Good to see some pro level desks. . . .